I took part in a short film to kick start the crowd funding stage which was a lot of fun; see if you can spot me playing the fiddle in my sepia hat. I believe that they have already raised the money they need to get the project off the ground but please go to their crowd funding site and throw some pennies in their hat as they are now raising further funds for community story and arts projects which will run from Hedgespoken. Having lived in a converted vehicle myself for some years in the past i know that they are not making life easy for themselves by choosing this way to live. But they have so much to offer and so much support around the world by people who, like me, believe in them and the gifts their talents bring to others. It would be all kinds of wrong if they did not embark upon this journey! I’ll leave you with a beautiful film about life in the slow lane which Rima shared recently on her Facebook page. 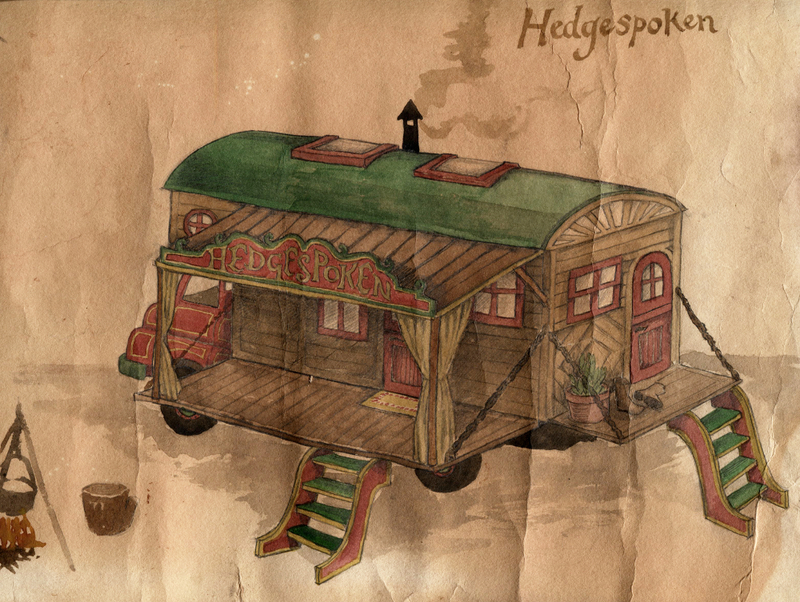 And a request that you share news of Hedgespoken with a few other people and help to spread the Good News.